Yes, we’re too expensive. Here’s why. A few weeks ago, we were turned down for a large donation because our cost per child is too high. 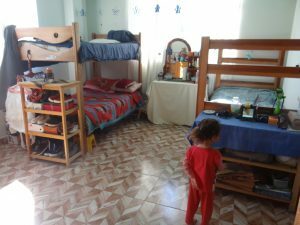 We were disappointed, of course, and we looked into what the average cost per child is for orphanages in countries like Peru to see if we could move our program closer to that expectation. What we learned made us commit even harder to our program exactly as it is, and here’s why. This photo is from a Haitian orphanage that probably meets “cost per child” criteria very nicely. We’d feed them mostly potatoes and rice. We’d have just one staff member who barely knows the kids’ names, much less their individual trauma histories. We could bring in a string of foreign “volunteers” to supervise the kids, without doing background checks or even insisting they share a language with the children. We’d send our kids to public schools, wearing old rags, and have no interactions with their teachers at all. We’d neglect their emotional needs and not worry about their self-esteem at all. We could give the older kids mind-numbing piecework jobs to help offset their costs and make them work instead of studying. We’d then put those kids out at age 17 — with no family connection, no personal belongings, no support network, and minimal education — to make adult lives for themselves. If we did all of that, we would be in line with average costs per child from other orphanages in the developing world. But imagine what their opportunities would be, what their emotional state would be — and what kind of providing and parenting they’d be capable of as adults. Imagine how that kind of childhood would impact all the future generations of their families. 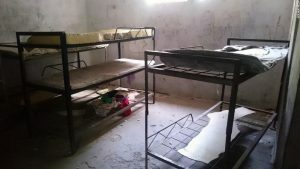 Did you know that many orphanages around the world deliberately keep the kids in bleak conditions so tourists and “volunteers” will donate more generously? Our kids live in a large, airy home. They are proud to bring friends home (what an important word!) 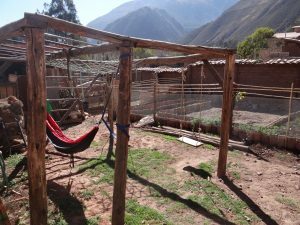 to study after school, and when they go to Cusco to study, they look forward to coming home on weekends. 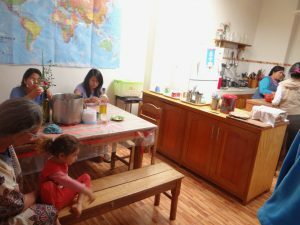 Four or five of them share each bright, sunny room, and we offer indoor and outdoor gathering spaces where the kids can read, play games, watch movies, and study together. We pay for private schools that suit each child’s academic needs and support them financially and emotionally into adult careers. We know their teachers, and their friends, by name and can greet them if we meet them in the plaza. 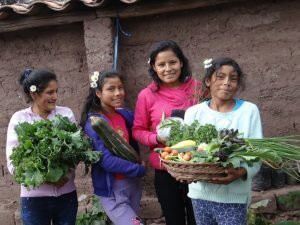 Our kids eat organic produce they grow themselves, shop for their own clothes, go on vacations, study yoga, music, dance & art, and build lasting relationships with long-term volunteers from around the world. They have pride, dignity, and the self-esteem they need to succeed in life. Most importantly, we fill our kids’ hearts with love every day, and that love is reflected in the way they treat each other and how they treat the world. You, our Global Family, make all this possible because you are very special and don’t look for average or cheap programs to support. You understand the value of raising these kids to be the leaders of tomorrow. You’re able to imagine how future generations of their families will look back on this generation as a turning point that broke the cycle of poverty in their families forever. 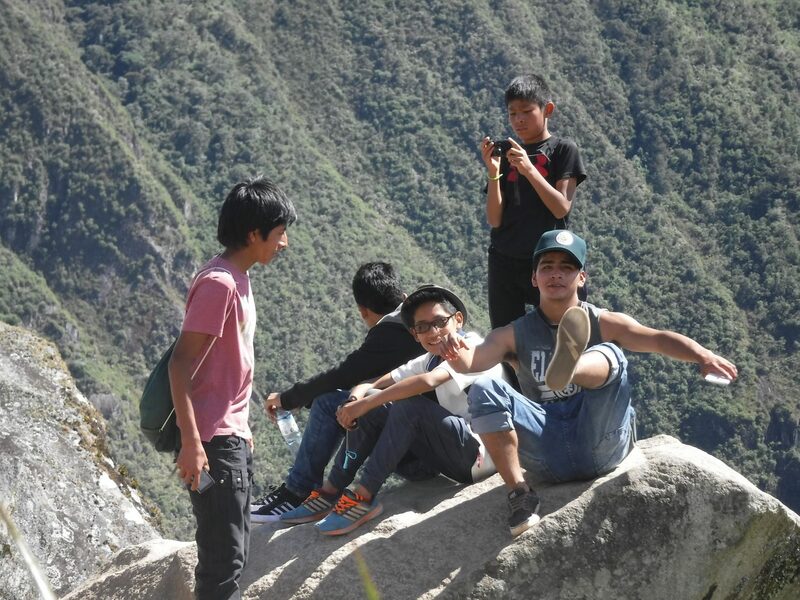 You’re able to envision a future where these kids are the adults who reach out to the orphaned and abandoned youth in their communities and make a difference for the future in Peru. We’re so grateful for your vision and your love. Right now, after nine months of relative prosperity, we’re hitting a lean time again. But we won’t change what we’re doing. We will continue to have faith that our Global Family will sustain us. If you’re a regular donor or you’ve given recently, thank you from the bottom of our hearts. 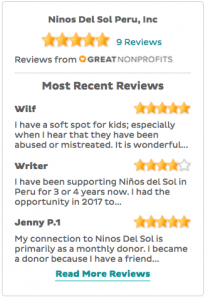 We hope you’ll consider reaching out to your friends and family through e-mail or social media, sharing the story of your personal connection with Ninos Del Sol and asking them if they’re looking for a worthwhile charity to support. If you’re not currently a donor and you’re in a position to help, please visit our donation page to offer your support. Thank you for all your support, financial and emotional, through the last several years. 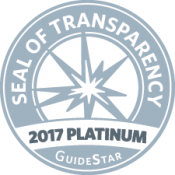 Your vision has made it possible for this incredibly unique program to continue, and we are so grateful to you all.